These shots of Reg at The West Midlands Open 08 look fantastic. It just goes to show what a difference a good camera and professional photographer can make. 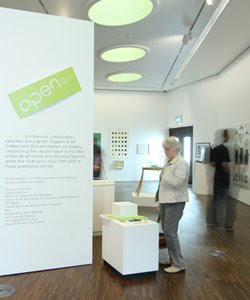 My thanks to Wolverhampton Art Gallery for access to these images. 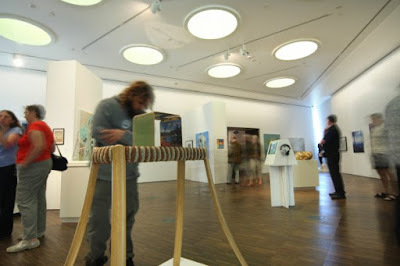 My thanks also go to Wolverhampton University who sponsored the Best 3D art work prize. Which Reg won! 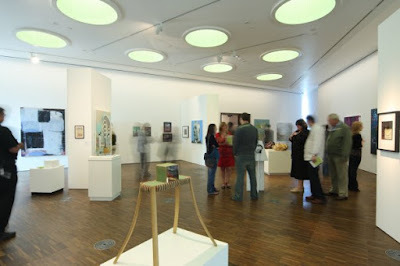 More photos from the opening night here. 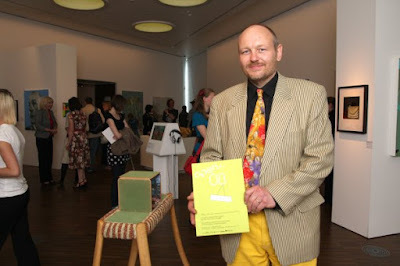 Sadly I was not available to collect my prize in person so Dave had to smile for the camera on my behalf!